Pictured (left to right): Kayla, Sean, and Yesenia at Dodger Stadium. Sean Mulligan, Health & Fitness Director, has been key to the successful implementation of Dodger engagement events with our Club members. 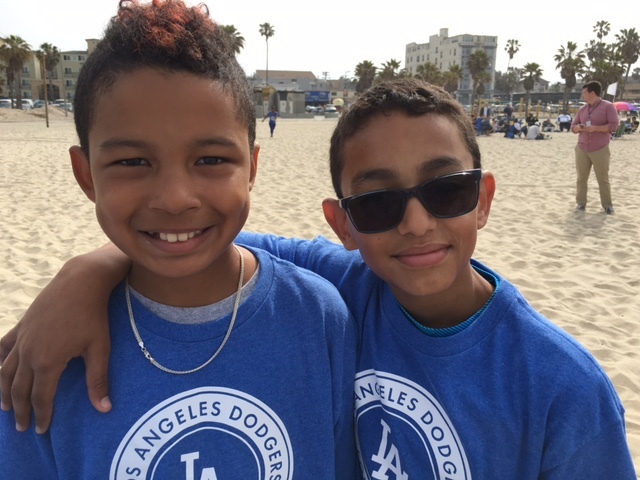 Committed to advancing youth in our community, Sean works tirelessly to connect unique opportunities—such as Dodgers RBI—to our club members. 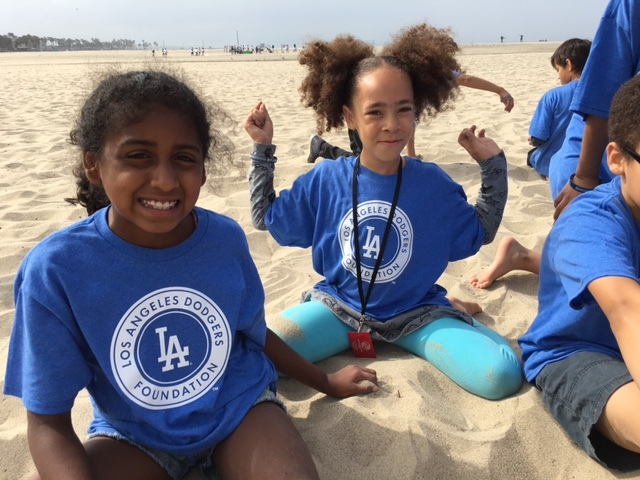 Through the support of the Los Angeles Dodgers Foundation, BGCV members are able to participate in Dodgers RBI. 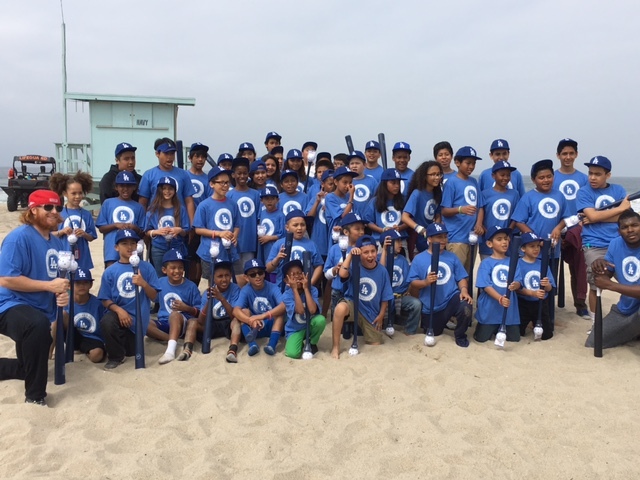 Dodger RBI players, Club members, and middle school students Yesenia Robles and Kayla Duckett were invited to attend Sunday’s Dodger game against St. Louis—their first visit to Dodger stadium. The girls, who were the only female players on the field, participated in pre-game activities and saw themselves on the jumbo screen at the stadium. 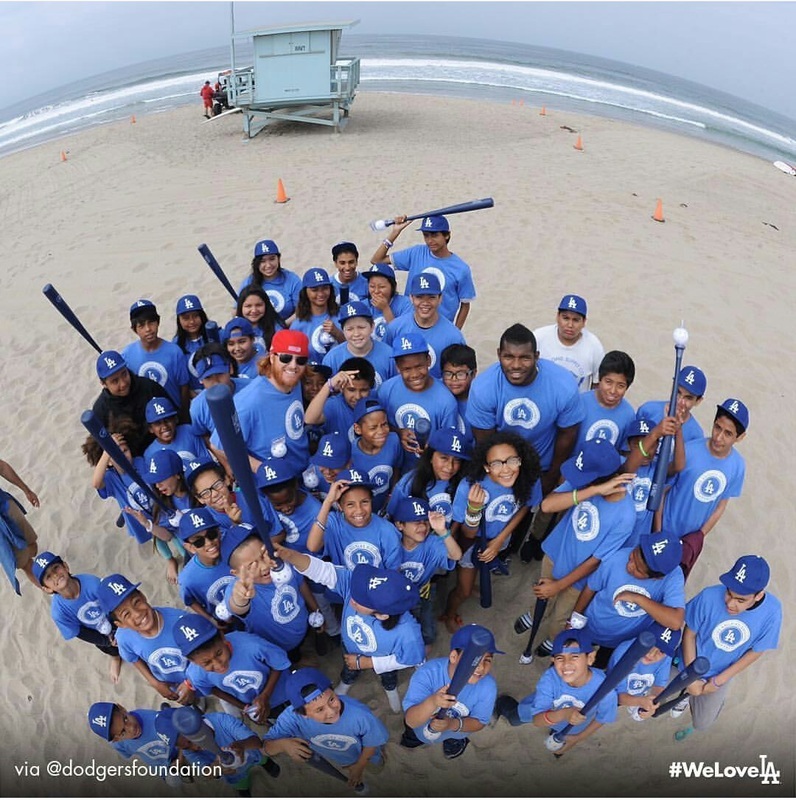 The Club received significant visibility, both at Dodger Stadium, as well as through national media outlets such as ESPN, USA Today, and MLB’s website. 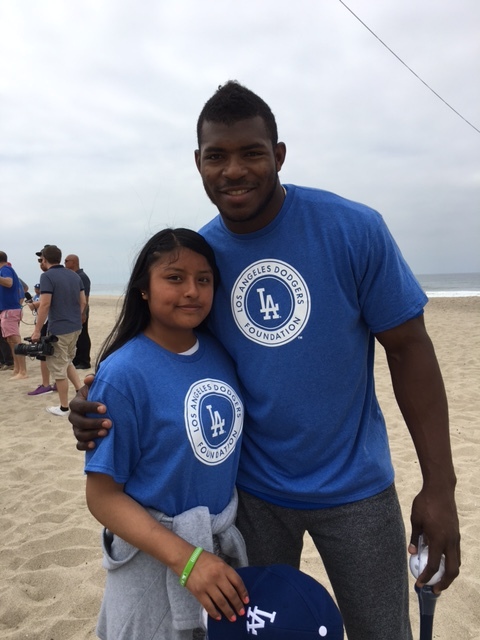 Eight year-old BGCV member Curtis being interviewed by Dodger media. 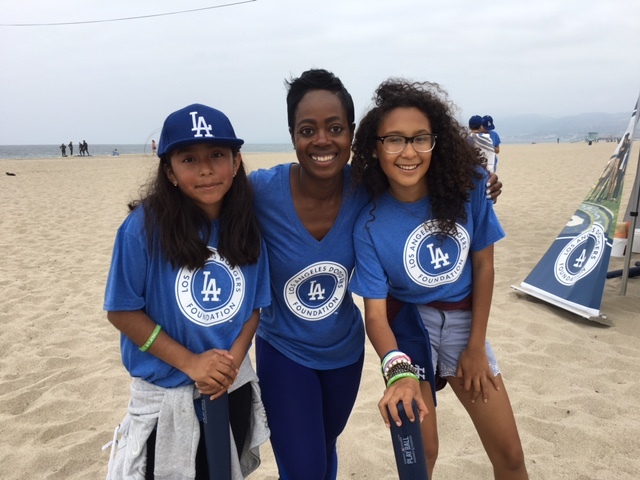 Club members Yesenia (left) and Kayla (right) pose with Nichol Whiteman, Executive Director of the Los Angeles Dodgers Foundation.